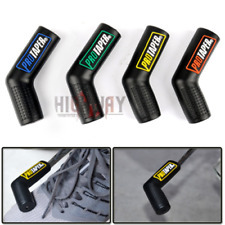 Motorcycle Passenger Front Hand Grip Tank Grab Bar Handles Armrest For Honda. - Reduce muscle strain on your passenger and give him a comfortable trip. - Make the passenger stay safe and steady on your ride. Simply slip over shifter. Radiator Guard Cover. Lgnition Switch Lock Set. 1x shifter boot. Slider Protector. Fairing Screws Bolt. 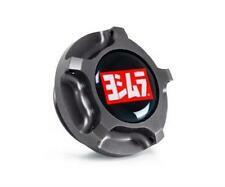 Keyless Gas Cap Cover. Wheel Axle Sliders. 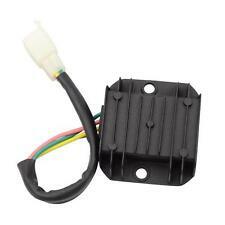 This listing is for 1 piece of a flasher relay for LED indicators for motorcycle/motorbike/bike. 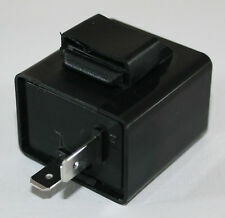 This 2 PIN resistor can be used as areplacement of a standard flasher relay. 2 x Fork Gaiters Gators Boots. Fit for harley XL883 & Sportster 1200 with 39mm fork. Made of high quality rubber. Material: Rubber. Excellent Condition, No install instructions and easy to install. Oil Filter. Lower cost with higher quality when compared to OE filter. 2011 Suzuki Hayabusa. 2009 Suzuki Hayabusa. 2008 Suzuki B-King. 2011 Suzuki GSX1250FA. 2009 Suzuki Bandit 1250S. 2008 Suzuki Bandit 1250S. 2003-2017 YAMAHA YZ250. -PISTON PIN. -ALL NEEDED GASKETS AND ORINGS. COMPLETE TOP END KIT. (KIT 1P8-11630-00-00). -TOP END BEARING. Honda QR50 (1982 - 2003). (Only available to select locations). We will only accept cancellation of your order if. ADJUSTABLE HEIGHT HONDA CRF50, XR50, Z50 TRAINING WHEELS. (TRAINING WHEELS ONLY, NO BIKE INCLUDED). DON’T SETTLE FOR A GENERIC INFERIOR PRODUCT; GET THE BEST QUALITY AND SAFEST TRAINING WHEELS AVAILABLE. FIT MODEL: HUSQVARNA CR125 WR125 (2002-2012). Made from forged T6 6061 aluminum, CNC machined. Picture shown is of exact item you will receive. Laser etched logo on all products. Suzuki GS1100G 1983. Suzuki GS1100G 1982. Type : Gasket Kit. Suzuki GS1100GK 1984. Suzuki GS1100GK 1983. Suzuki GS1100GK 1982. Suzuki GS1100GL 1983. Suzuki GS1100GL 1982. NEW COMPLETE SET GASKET KIT HONDA TRX 450R 97MM Big Bore. Fit Honda TRX450R Year 2004-05. 80CC ENGINE TO HELP YOU RIDE MORE EASILY: Single cylinder and naturally air-cooled engine. DOHIKER 80cc Bicycle Engine Kit Gas Powered 2-Stroke Motor Engine for 26 ” or 28 ” Bicycle. The air-cooled fuel-efficient engine provides a 3 horsepower output (maximum output of 5-6 horsepower). FITS: 2002-2018 Honda CRF450R. 47 total shims sizes. Includes plastic organizer case. Made from 4140 cold rolled steel. 141 total shims. YAMAHA TA125 PISTON KIT We had a custom run of pistons made for the TA125. FITS TA125 ALL YEARS. Honda XL185S. New Connecting Rod Kit for. Fits 1979, 1980, 1981, 1982, 1983 models. Kit includes rod, bottom end bearing, washers and pin. 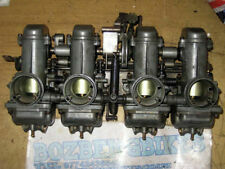 For a SUZUKI DS80 1978-2000, RM80 1977-1981. Wiseco Part # ( 456M04900 ) 49mm Standard Bore. 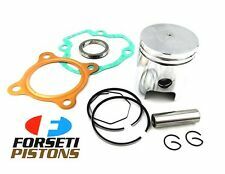 Wiseco Piston Kit. Compared to cast pistons, forgings are tougher and more durable, and will stand up to the abuse that high performance motorsport applications require. DUCATI CLUTCH BOSS INNER DRUM HUB. SPRING SET. CLUTCH TOOL FOR ALL Ducati 6 SPEED Engine. Fits all 6 Speed Ducati Dry clutch engine. 1 Inner drum hub equally to Ducati Part # 19610012B. 1 HDESA USA Clutch Tool. 2 x Gasket: 51148-41310-000. 2 x Oil Seal: 51153-40F00-000. 2 x Dust Seal: 51173-02FA0-000. IMPORTANT NOTE: UK is Mainland Only. Purpose : Sports. Kit contents. BRP Handlebar Hand Guard Mount Kit BMI-9254. 39-41mm BOLT SPACING BOLTS INCLUDED. 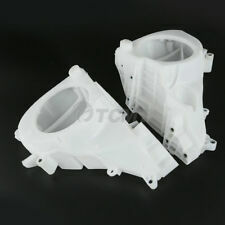 For 2002 - 2005 BMW R1150RT. Handlebar risers are CNC machined from T6061 Billet aluminum to exact tolerance for a perfect fit. Risers are placed under your handlebar clip-ons and will move up your handlebar both up & back diagonally 1". Your looking at the (NIB) Genuine Yamaha OEM Clutch Kit for the 1999-2009 XVS1100 VSTAR. The kit includes all the needed CLUTCH PLATES, FRICTION PLATES, SPRINGS & GASKET. IF YOUR OUTSIDE THE. Sifton adjustable type pushrod set is designed to be installed without removal of the heads or rocker boxes. Rods feature chromoly tube construction with rolled thread adjusters. Sold as: KIT. FITS THE FOLLOWING BIKE APPLICATIONS. By Colony Machine. Part #8325 CAD. The kit includes primary cover screws, lifter base screws, circuit breaker screws, case studs and nuts, timing plug, cam cover screws, cylinder base nuts and washers, oil pump nuts and bolts, transmission side cover nuts and washers, transmission top screws, transmission fill plug, generator screws, head bolts and washers. Namura Piston (Std Bore 66.34mm). New engine rebuild kit for Honda CR 250. Crankshafts are sold complete with Wiseco connecting rods and inner crankshaft webs. Seal kit (Water Pump seals not included). Cascade Lakes Motorsports. Up to 20% less lever pull required. This is a new PRO-X Piston Kit. Fits: SUZUKI RM-125 1985-86, 2-Stroke. You will receive 1 each piston kit when you order. Year and Model are important, check yours before purchasing. This 1985-86 year model RM-125 is a flat top piston. Color: steering damper:black bracket: gray. Yamaha MT-09 2012 2013 2014 2015. Material: Aluminum,T6061. Condition: 100% New,high quality and very durable. Stabilizer has a forged steel construction with precision rod end bearings. Easy to install stabilizer does not change ground clearance. Fits Touring models 1993/2008. Motor/swingarm assembly remains aligned with chassis without any unnecessary vibrations. Shock absorbing EPDM foam for a smoother ride. Grip Cover. TYPE Grip Cover. MATERIAL Foam. COLOR Black. 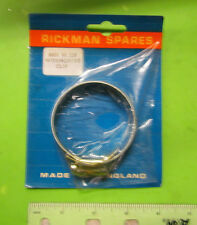 Triumph Genuine Part # A9638121. Triumph Tiger Explorer up to VIN 740277. Triumph Tiger Explorer XC up to VIN 740277. 36-53 KNUCKLEHEAD PANHEAD. Pinion parts kit. Kit includes pinion shaft seal ring, gear spacer, ring spring, cam chest breather screen, and seperator plate. Use smaller reels for slower throttle rate and larger reels for faster throttle rate. Motorcycle 2013-2015 Kawasaki EX300R Ninja 296 1. The most advanced variable rate throttle in the world. Sleek design requires less handlebar space for lever clearance and throttle position. 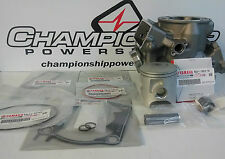 2001-2008 SX Mini AC/Junior/Senior Adventure Top End Cyl. Kit KTM50 Air Cooled. NOTE- Will NOT fit 2001 and older KTM50 with black Morini Franco engine. Will not work with water cooled engines. SX Mini Senior Adventure. 31.50" Wide. Also this taper allows you to rotate the master cylinder to any position to clear the bars with and brake line. These bars are made with CNC bender for a smooth radius at each bend. Notched bar end for fly-by-wire applications. 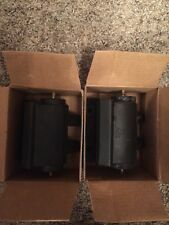 Your looking at a new Genuine Yamaha Starter Clutch Kit. 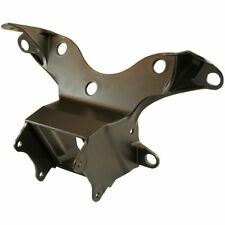 This item fits all 2000-2008 Yamaha V-Star 1100 models (custom / classic / silverado). 3B8-15590-09 ONE WAY STARTER ASSEMBLY. This kit includes the following pieces. Kawasaki ZX9R E1 & E2. JT sprockets are made using only the best available materials.SCM415 chromoly steel alloy for front sprockets, and we are the only sprocket manufacturer using the ultra-durable high carbon C49 steel for rear sprockets.